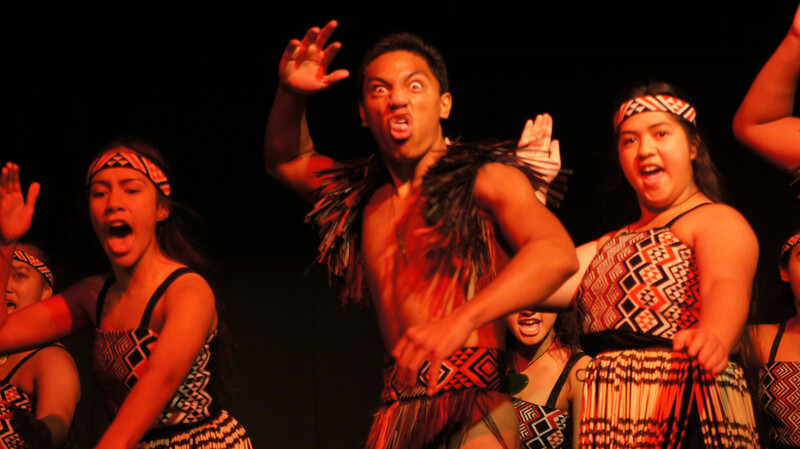 There is no greater kaupapa to represent Maoridom than through kapa haka! Te Awhiorangi is the name of our school kapa haka group. This name stems for the "toki" or axe that was used by Tane to separate his parents Ranginui (sky father) and Papatuanuku (earth mother) and a name we carry with great pride. These are our dedicated students who put in the many long and sometimes painful hours to compose, create and deliver the powerful and often emotional items that are performed at various venues around Aotearoa. For the most part, our students not only represent Taupo-nui-a-Tia College, but also our iwi Ngati Tuwharetoa and of course our many whanau. Each year roopu attend a number of competitions have have a very proud record of achievement. Such gatherings include Mana Ariki (Taumarunui), Hauraki (Thames/Coromandel), Kingitanga (Ngauruwahia) and the Tuwharetoa Taiopenga (Taupo). Our big gig in 2019 is the Te Arawa Secondary school competitions (Rotorua) in July. We are always open for new members (especially boys). Parents are always welcome to come and view us just to get a feel of who and what we are. Of course we do travel overseas to visit our Polynesian cousins in Hawaii, a place we nowadays call our home away from home. Our tutors are Geoff Rameka (Matua Snow), Whaea Dinny, Teiria and Elijah. Na reira e te iwi e...Nau mai, Haere mai.